Ondo State governor, Mr Rotimi Akeredolu, has signed the 2019 Appropriation Bill of the state into law. The governor said that the main objective of the budget was to advance the state to the next level through the completion of the ongoing projects across the state. He said his administration would continue to take the issue of workersâ€™ welfare seriously, while soliciting the voluntary co-operation of all residents of the state to be faithful in the payment of their taxes and levies. 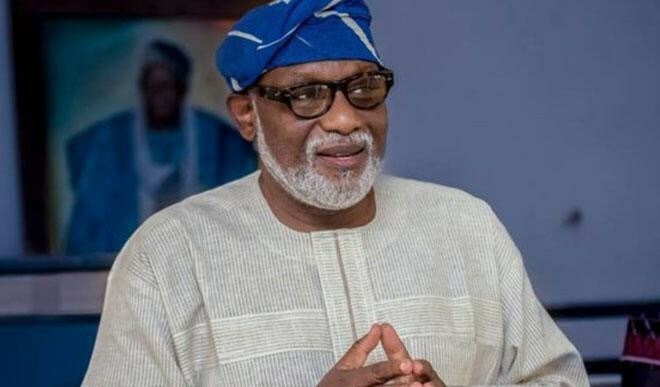 Governor Akeredolu, who signed the Appropriation Bill into law inside the Exco Chambers of the Governorâ€™s Office in Akure, explained that the 2019 budget was prepared on the basis of the inputs garnered during town hall meetings with various stakeholders across the state and the five-point development agenda of his administration. According to him, the five-point development agenda is the major platform upon which the aspirations and dreams for the state shall be translated into tangible and life-transforming projects or programmes in the 2019 fiscal year. He said â€œthe 2019 budget, aptly christened the Budget of Advancement, which has just been signed into Law, has a total size of N193.903 billion. â€œOf this amount, N10.369 billion representing 5.3 percent is for debt service; N9.568 billion representing 4.9 percent is for statutory transfers to OSOPADEC and the 10 percent share of Independent Revenue to Joint Account and Allocation Committee (JAAC) of Local Governments in the state. The governor noted that the government knew was about the challenges posed by inadequacy of funds to effective and impactful-budget implementation. He stated that the challenges faced were not related to the governmentâ€™s inability to grow independent revenue to a level where it can cover most of the stateâ€™s recurrent expenditure from funds generated internally. â€œIt is also disheartening to note that some development partners, in recent times, have failed to meet up with their terms of agreement,â€ he stressed. The governor disclosed that his administration had resolved to sustain the use of ICT to help drive independent revenue generation to block loopholes. He said : â€œOur administration intends to continue to approach all issues of governance with the required gravitas. We shall proceed with renewed determination, despite the stated challenges. â€œI wish to assure you that this budget will be implemented, faithfully, in our quest to deliver the dividends of democracy and good governance to our people. â€œWe will make sure that we have good value for every naira spent. We anticipate creation of more jobs for our youths. We shall deepen our engagement in developing infrastructural facilities. Provision of functional education and qualitative health care services remain our priorities,â€ he added.